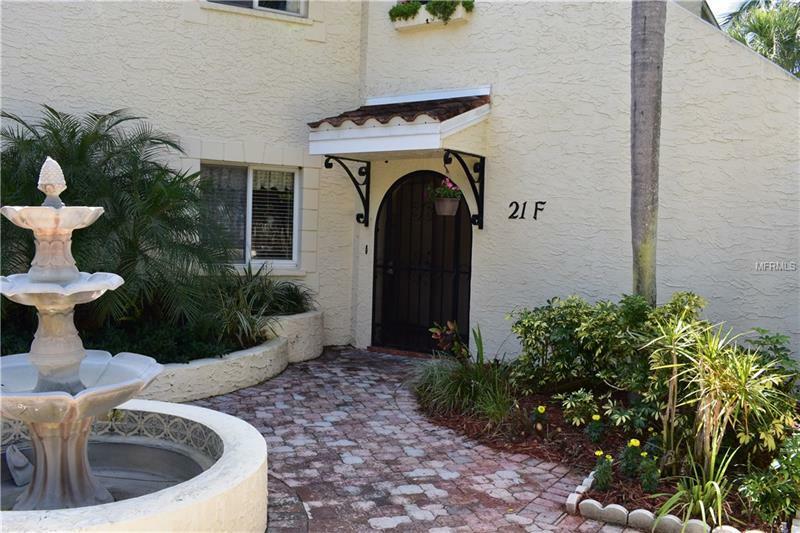 This spacious ground floor condo has a large glassed-in Florida room that gives direct access to a pretty backyard pond and garden. Updated kitchen with granite countertops, sink and hardware, as well as a new microwave oven, updated lighting and a new hot water heater. This condo includes a large tropical privacy garden for outdoor dining and relaxation. Furnishings are negotiable.